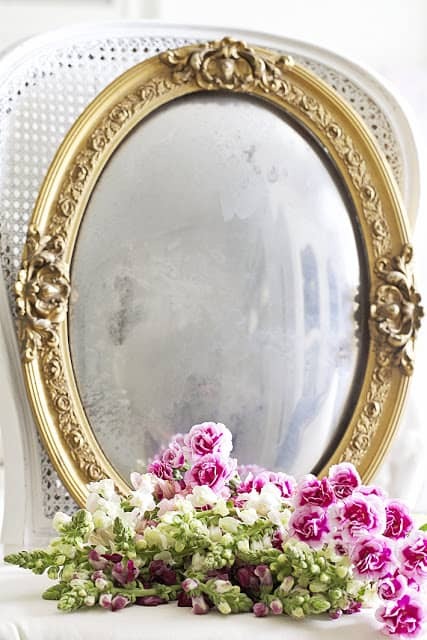 How to make a mirror from a picture frame in this simple tutorial that is easy enough for all levels of skill. I don’t have many things hanging on the walls in our home, but I do have a pretty healthy obsession when it comes to hanging mirrors. Although I love artwork in other folk’s homes that I come across, to me hanging art or photos on the walls can be distracting and sometimes…take away light or absorb it. Mirrors of course reflect light, and I’m often on the hunt for more. 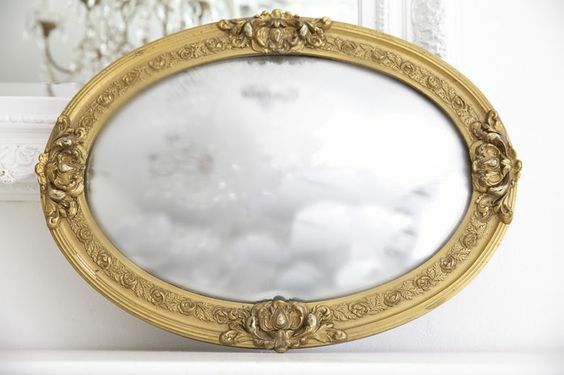 The mirror in my recently revealed home office was given to us by a client and it’s from the high end company LaBarge. What an amazing score that was! 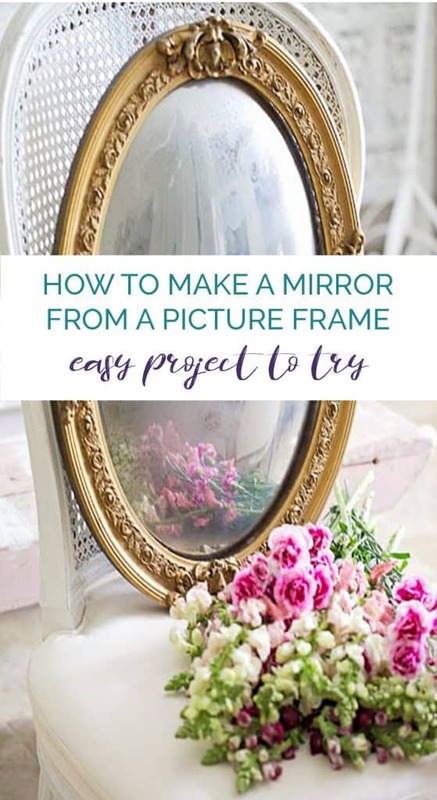 I hoard old picture frames and because I’ve collected for so long, how to make a mirror from a picture frame seemed like a great project to share with you. I gathered what I knew I’d need from my workshop, as I’ve done this technique before like in THIS PROJECT. I would recommend doing this outdoors on the grass or a dropcloth if possible. It’s messy and stinky too! 1. 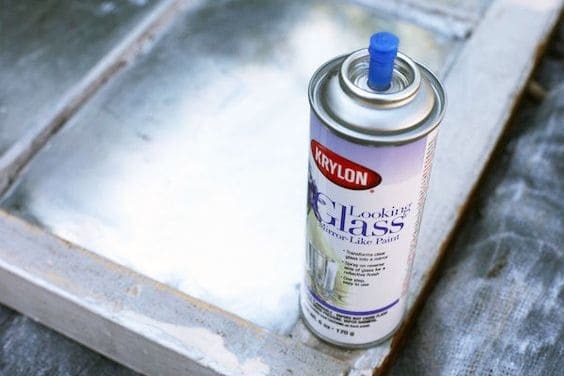 Make sure that your glass is clean of any debris or grease and then spray a light coating of THIS PAINT. To my knowledge there really isn’t anything else like it and you can’t always find it in home improvement stores. Link is provided for your convenience. I prefer to work on the back side of the glass, but I’d recommend experimenting with a spare piece of glass first and play around with these techniques and see what side you like best. For this how to make a mirror from a picture frame example I worked on the back side only. 2. Once you’ve sprayed your mirror paint you’ll want to work quickly while it’s still tacky to the touch. To make it look old, you’ll want to remove some of the paint and give the glass a ghosting effect. 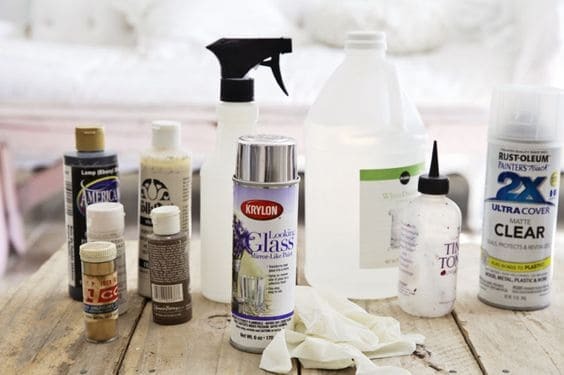 Take a spray bottle filled with 1/2 vinegar and 1/2 tap water and give a light spritz to a few select areas. This gives a mottled effect as shown and makes it look like it has some patina of age. 3. 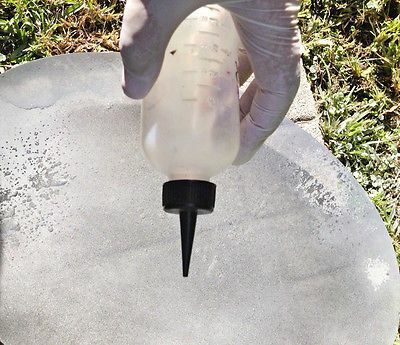 For a drip effect, fill a plastic bottle with a small tip such as a hair dye bottle with acetone and lightly plop a few drips. Use a light hand or you might remove too much paint and it will start to look too contrived. You can use this same technique with a new frame and piece of glass. 4. 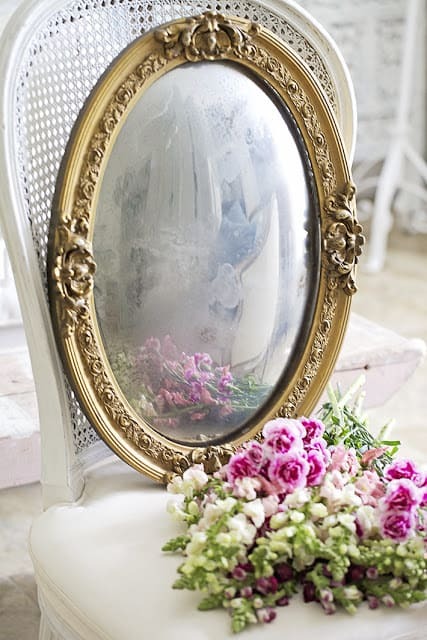 To give your mirror more depth and a true antique look, water down some craft paint in brown, black and white and dab with a sponge here and there. 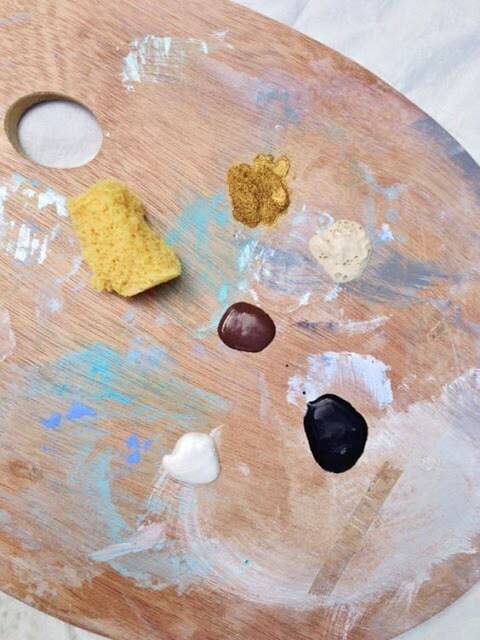 I like to do this in the areas where more of the paint has been removed by the vinegar spray. Use a light hand and don’t over do, but if you feel that you’ve made a mistake it can be lightly removed. There really are no set rules and in my how to make a mirror from a picture frame post it’s just to inspire you to delve in. 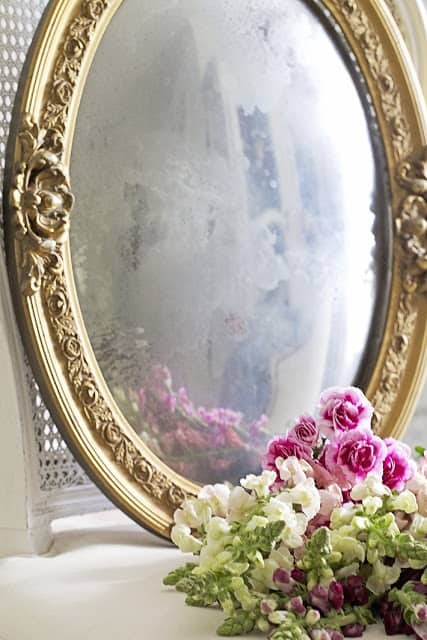 Lovely DIY, thank you for the detail guardian to aged the mirror. Hi Janet! What a cool project! I have a big frame that I decorated around but hadn’t thought to do this. Maybe I’ll look around for a mirror to fit it and try this! I love mirrors too! I’m replacing the mirror in our master so I’m on the hunt! Happy Monday! Glad that it inspired you Babette…enjoy your day! 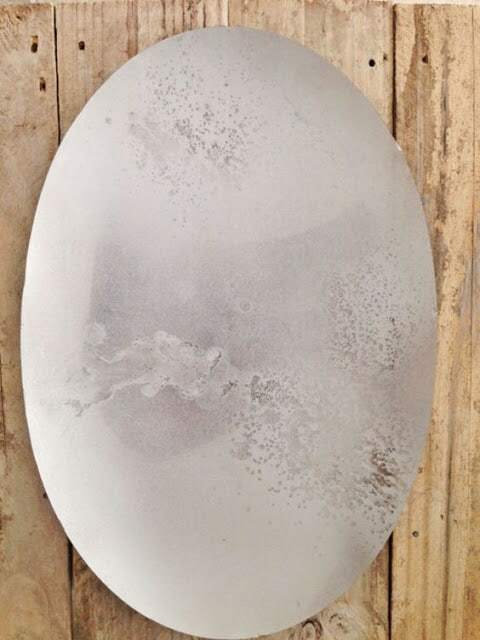 I this is definitely a must try for a mirror AND mercury glass look for jars. FUN project. linda of no.cal. Thank you so much for the lovely compliment and I’m glad that you enjoyed it! This is fabulous! Can you see yourself very well? Could the mirror be used functionally in a dressing room? Thank you Tammy! You could use this in a dressing room indeed if you keep the distressing light! Loving this project. I may give this a try. Thanks for sharing. Cindy…I hope that you give it a try and let me know the results! Amazing! I love this beautiful, creative project. Thanks for sharing. Ivory…thanks for stopping by and checking out the project! What a great project. 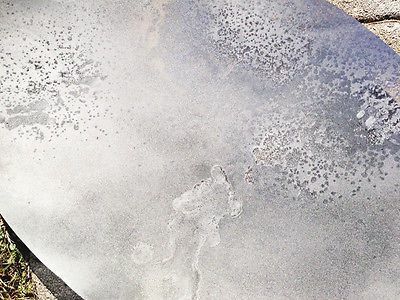 Do you have to use the technique on glass? 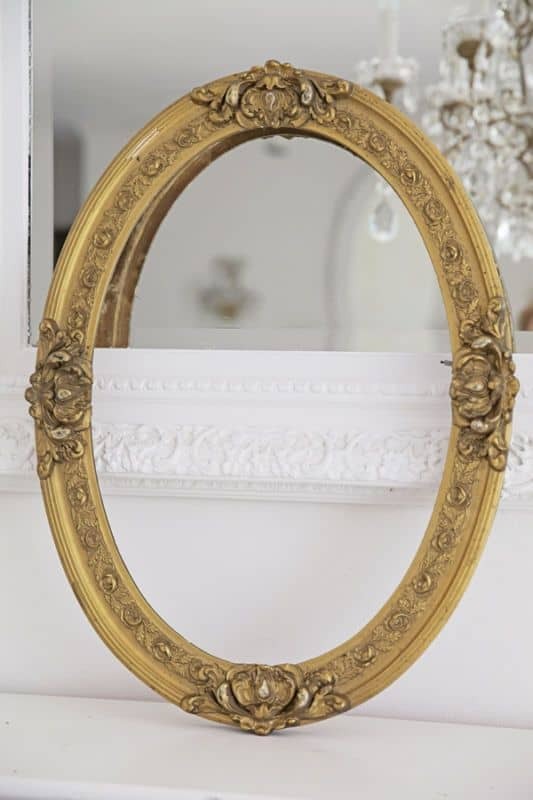 I have lots of beautiful gilded antique frames with no glass and was thinking of using a jigsaw to cut wood panels for them and turn them into chalk boards. Would you suggest having a piece of glass cut instead of using wood in the frames, if I prefer to turn them into mirrors? Thanks so much.